I hope you are all doing well! I have been away in Spain now for five glorious days and i am loving being carefree now university is finished and making the most of the sunshine. Even though i am away on vacation I can't keep away from my blog and you lovely lot haha so I thought I would talk to you about some new Benefit Cosmetics releases. The Benefit team very kindly invited me to their new product launch back in May and i couldn't wait to share the new releases with you. They're Real mascara is the UK's number 1 best selling mascara and an ultimate favourite of mine. Before i jetted away i saw that i had three tubes in my everyday makeup bag that i was trying to scrape every last drop out of them. I don't know what it is but there is something so special about They're Real Mascara and i always make sure to have backups on hand. When there were rumours about Benefit extending the line i think the beauty community literally lit up and I for one was extremely excited! 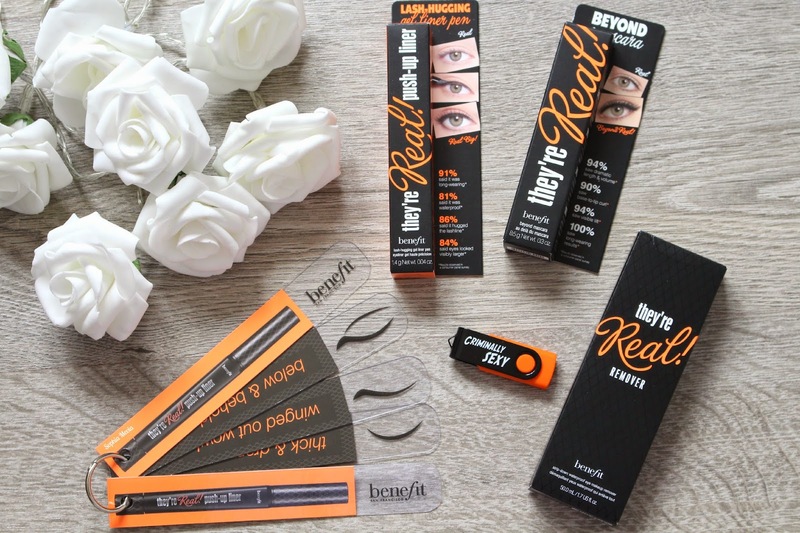 Whilst at the event the Benefit team gave me an incredible goodie bag including the new They're Real Push-Up Liner, They're Real Remover and of course the ever so famous They're Real mascara. Amongst these makeup goodies were some fabulous press items which can be seen in the images below...how cute is the memory stick and the eyeliner flash key chain?! If you want to see more pictures from the actual event then head on over to my Instagram @SophiaMeola. The Benefit event was based around making eyeliner application #CriminallyEasy and was represented around a prison theme which i think is quite fitting giving the orange and black packaging! Keeping with the packaging i love how the trio all match and as you can see they are forming a lovely little They're Real family! I always love how Benefit always make their packaging so sleek and easy to travel with or throw in your handbag on the go. Attention to detail is everything and i think Benefit have got it down to a tee! 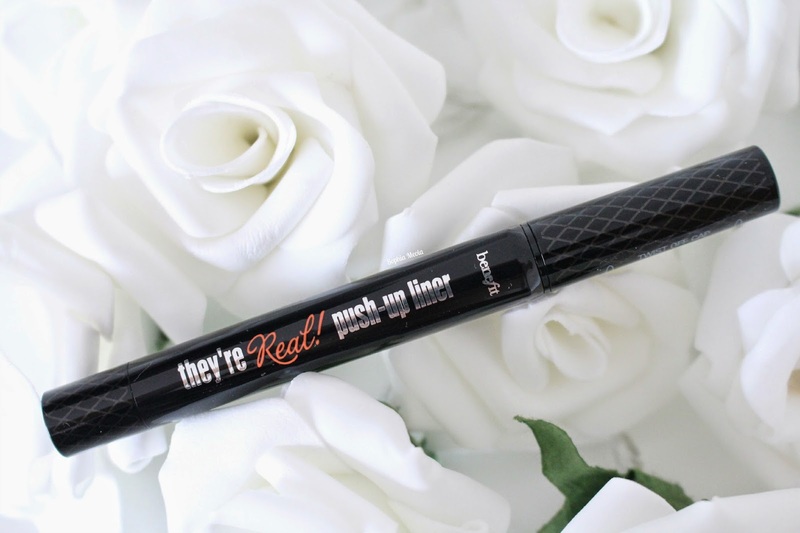 The Benefit They're Real Push-Up Liner has been in development for over 5 years and has been said to be the worlds first ever lash hugging gel eyeliner in a pen form. It is something completely unique and innovative and it is a complete game changer throughout the beauty industry. The Benefit team began studying the evolution of eyeliners: wood pencils, pot gels, felt tip pens and created a truly unique eyeliner that would make eyeliner application #CriminallyEasy. For years i would skip applying eyeliner because i could never get it looking right, even or neat (makeup problems) but i have recently grown to love a select few of eyeliners that really work for me with a specific technique. 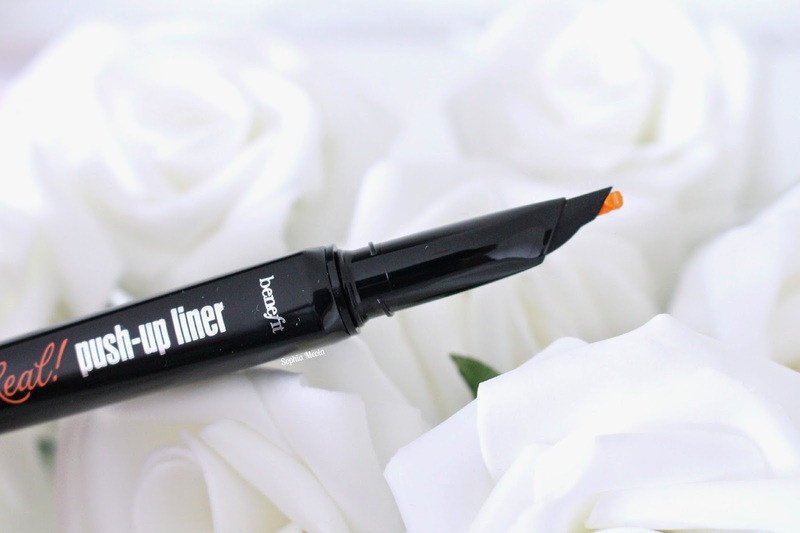 Saying all of that, it still can be a timely process and knowing that Benefit have released a new innovative Push-Up Liner with a AccuFlex™tip sounds so exciting to me. I do love applying an eyeliner with a flick to my eyes as it is quote flattering with my eye shape. Broken down the development of the AccuFlex™design is based around three things; the 'soft custom angled tip' which draws an easy line, even on the curved surface of your eyelid and makes it so much easier to draw wings. The 'flat wide guard' that gently pushes lashes aside so you can get closer to the lash line and finally the 'wide base' which aids in providing a more stable application. 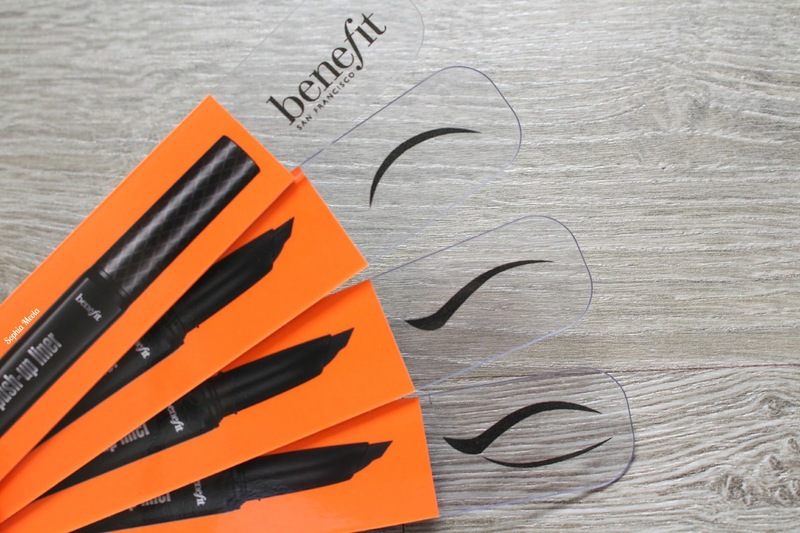 The new Benefit They're Real Push-Up Liner is the perfect balance between flexibility and stability which makes application easier and more forgiving with exceptional control for the perfect line. 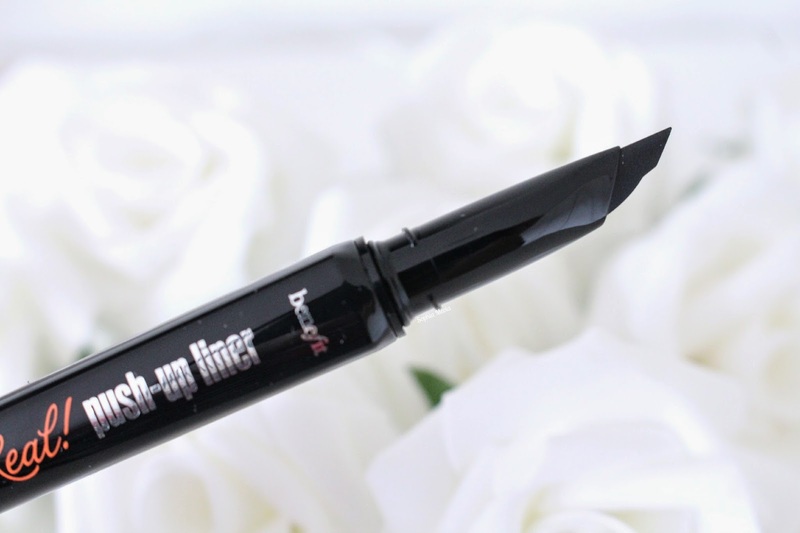 Additionally to the incredible technology and innovation behind the product, the eyeliner has an extremely long lasting formula just like the mascara...YAY for staying power! The formulation is a super pigmented matte black gel liner that once dried does not budge. Obviously, the one issue you may have with the liner being so long lasting is of course the removing process. If you love They're Real Mascara then you will know how tough that is to remove also, so that brings me on to Benefits next new release...the Benefit They're Real Remover! 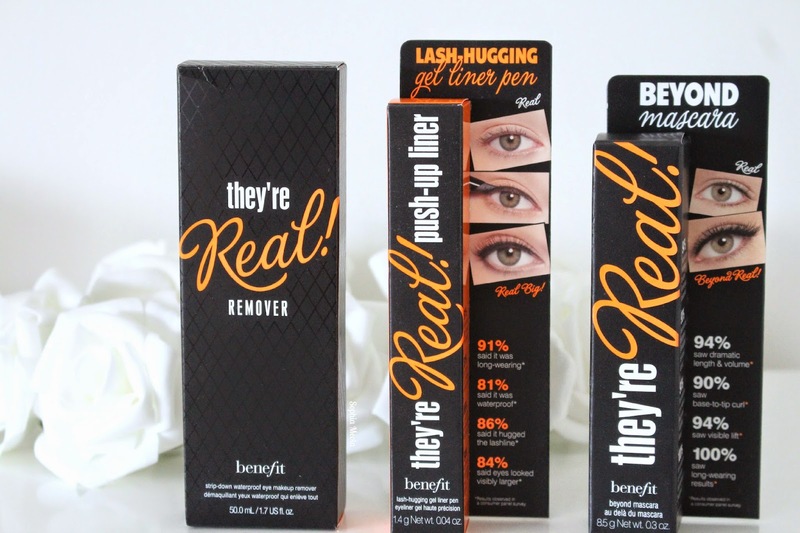 Just like the Push-Up Liner the Benefit They're Real Remover is an innovative product which has been designed to remove They're Real products with more ease, with less rubbing and less time. 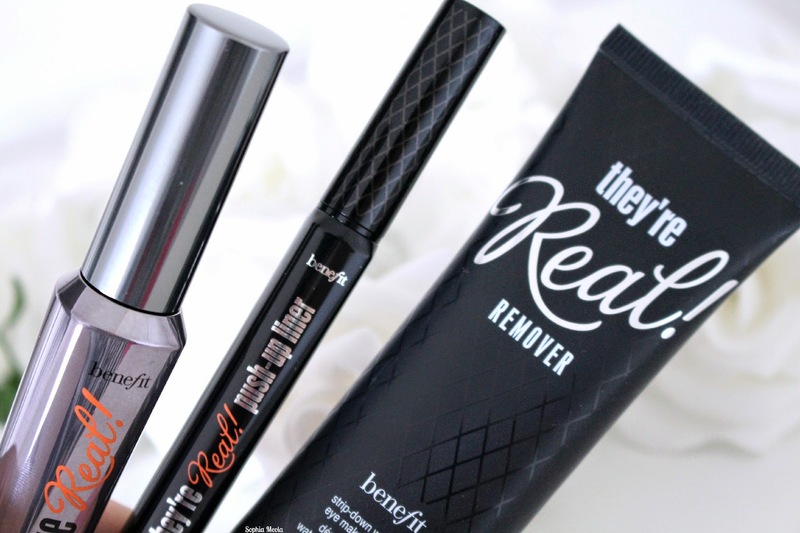 The They're Real Remover is a creamy eye makeup remover which looks like a pretty generic formulation when squeezed out of the tube. I have used creamy makeup removers in the past but i have to say i much prefer liquid formula's and Micellar waters, however, i always switch up my makeup removing products so i will use anything that does the trick and makes removing my makeup so much easier and less time consuming. Just like any other makeup remover, simply squeeze out a dime sized amount onto a cotton pad and apply to your eyes. I prefer to hold the pad over my eyes for a few seconds first to let the product sink into the makeup to dissolve the particles quicker with less rubbing on my eyes. I have tried the remover with the They're Real Push-Up Liner and Mascara duo and also with other makeup brands and i have to say it is a nifty little product that makes removing your makeup so much easier. 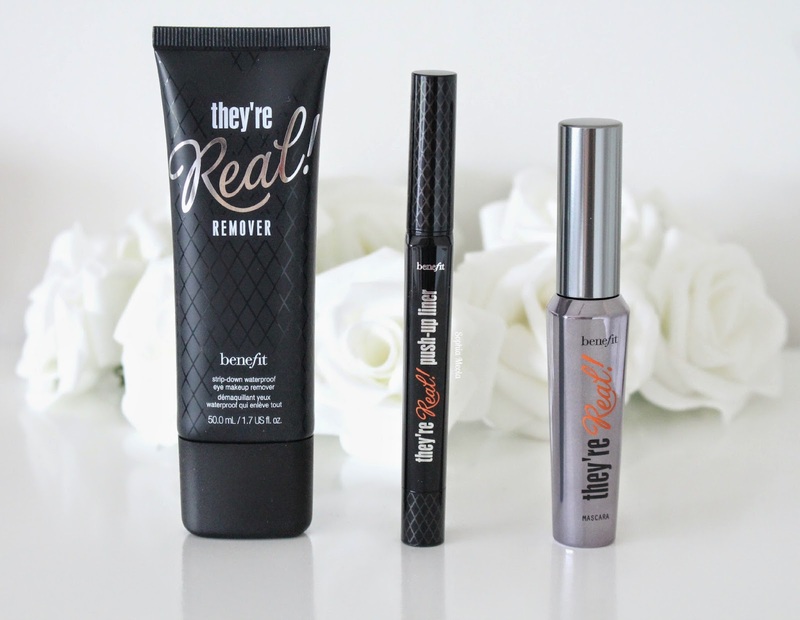 The They're Real Remover lifts away long wearing and waterproof mascara and eyeliner with it's powerful yet gentle formula...If you are a lover of the They're Real range then you might want to take a peek at the new They're Real remover. Overall, I have to say i am in complete love! 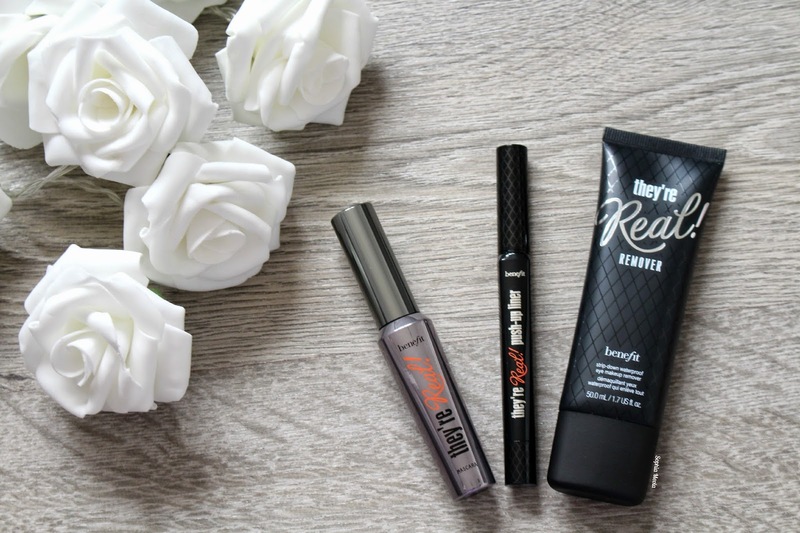 The Benefit They're Real Mascara, Push-Up Liner and Remover make the ultimate dream team when it comes to eye makeup application and removing. If you like the look of the new They're Real Push-Up Liner it is available to purchase from the 27th June 2014. The They're Real Remover release date is yet to be confirmed but keep your eyes peeled as it could be soon! I hope you all enjoyed this post! I absolutely loved heading down to London for the event and being introduced to the new Benefit makeup goodies. I would love to know what your thoughts are on the new releases. Would you give them a try? Love this post, have seen SO many of these posts about this liner but this is one of the few I've actually read!! Looks amazing! Need to try. The tip looks perfect for creating wings! Nice review!!! I just started using the mascara and I am also one of those that are very attached to their liners so I guess I'll skip that, but the remover is definitely something to try!! Great post, really informative :D I really want to try this! I loveee the they're real mascara and use it every day! However I do find it hard to remove so I will definitely look into this! Thanks for the thorough review! I always love looking at Benefit's new releases! Their products are so innovative. 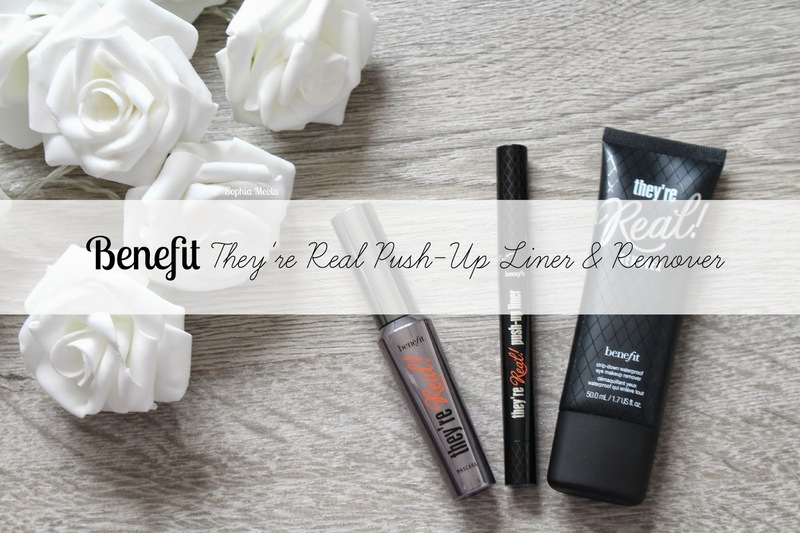 I'm already a fan of They're Real Mascara and I'm dying to try out the Push-Up Liner! I'm SO excited to buy the eyeliner. Love they're real mascara such a fan of benefit makeup its such great quality! I've been dying to try this since forever!